Concept drawing of the bike from the Conscious Commuter Facebook page. Portland-based company Conscious Commuter has run out of money, ceased operations on December 16th, and is “in the process of winding up its affairs”. That news comes via an email sent to supporters by Gabriel Wartofsky, the company’s head designer and co-founder. Conscious Commuter launched in June 2011 with plans to mass-produce a foldable electric bike in Portland. The concept was the marriage of Wartofsky’s design skills mixed with the entrepreneurial and business background of company President and CEO Bob Vander Woude. 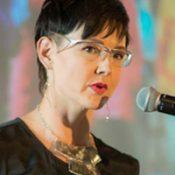 The company had been headquartered at One World Trade Center in downtown Portland. 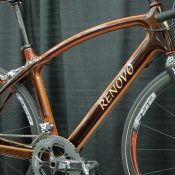 In September 2012 we reported on the successful completion of their first batch of frames, which were manufactured in Portland by Zen Bicycle Fabrication. 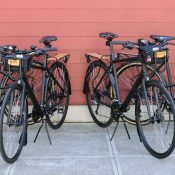 One of the first big orders for these bikes came from Drive Oregon, a nonprofit public-private partnership funded in part by State Lottery funds. As late as April of this year, they had planned to use Conscious Commuter’s bikes in a program that would deploy the bikes and then monitor their use to research their potential as a transportation option. We began hearing rumors several months ago that Conscious Commuter was having trouble delivering a final product. Now we know those rumors were true. 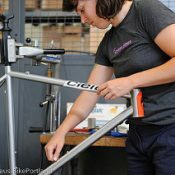 A BikePortland reader who had donated to Conscious Commuter’s successful, $25,000 Kickstarter campaign (in September 2011) forwarded us an email from Wartofsky explaining the “financial issues” that have forced them to cease operations. You are receiving this letter because you made a support donation to Conscious Commuter on Kickstarter. Please be advised that Conscious Commuter has run out of cash, ceased operations on December 16, 2013 and is in the process of winding up its affairs. We appreciate your support of Conscious Commuter. We wish we had been able to raise the additional funds needed to continue what we believed was a very promising business- but after two and a half years filled with momentous achievements and challenges, financial issues have forced us to close our doors. Please know that your support and donation led us on a successful trailblazing journey that has planted the seed of sustainable mobility in a vast range of communities. Since 2011, Conscious Commuter has made a significant impact on communities ranging from small neighborhoods, small businesses, world class corporations, universities, entire states and the US government as a whole. President Obama even recognized our efforts in supporting small local businesses. 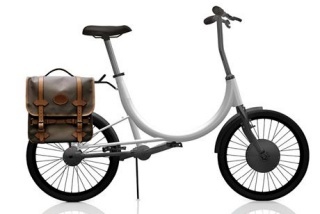 We’ve accrued countless design awards, international press, received acclaim from fellow ‘competitors’ and have inspired the next generation of home-grown and international e-bike companies, as well as have been considered though leaders in the mobility mega-trend. As social impact supporters, your donation has helped change the way people think about mobility for the better. While we wish we could have fulfilled our dream of becoming a sustainable business, our achievements to date have paved the way for others fighting for a cleaner future. In the big picture sense, we’ve succeeded in helping improve our future by validating that consumers want to change the way they commute for the better. While it’s a shame that we can’t continue as a company, we hope you can at least take pride in knowing that you’ve helped us make epic strides in supporting local manufacturing, and changing the way we view commuting as a society. We wish you a happy holiday season, and thank you for all you’ve done to help realize our dream. There’s no mention of this news on the company’s website or Facebook page. Too bad. But its not too surprising…the bike biz can be tougher than opening a restaurant while surviving past 3 years, especially if you are trying to do something different AND taking on a lot of investment and overhead. No kidding. It’s hard enough to open a business with money you saved/borrowed yourself. Imagine how hard it would be to keep at it if someone else just gave you your seed money. How could you help but be less committed? Maybe I’m picking on Conscious Commuter, but I’m disappointed that they went on vacation right as they closed the doors. It could be bad timing, but it looks kind of cowardly, IMHO. Well, now that I’ve shot my mouth off, I’ll recant a bit. Vander Woude was funding the project himself prior to kickstarter. I guess it doesn’t occur to you that there may be people out there with great ideas who simply do not have the money to make them a reality. They must be lazy because they are poor, and given the opportunity to proceed forward with funding they would squander that money. It seems to me the opposite would be true, you’ve wanted to move forward with an idea forever, and finally you have the means to do so. You would go at it with both guns blazing. I can’t guess the reasons for the company, but in some of the copy they write about putting it in the trunk of your car, your boat or personal plane. If I was gearing towards that market, I wouldn’t be the kind of shop that would want to meet clients in my garage out in Troutdale. I’m not saying that I approve of the methods but it’s appearances, perhaps? …and someday they may write a book or be a chapter in a book and we will see if there were any specific technological or industry events that were disruptive to their efforts…like the recent Copenhagen wheel etc. Why was a start-up headquartered in the World Trade building? Shouldn’t they have found a place with really low rent so they could have focused on the company’s health? Was thinking the same thing! Seems like awfully high overhead. The letter seems awfully self-congratulatory considering the bottom line is “Sorry, we spent your money, and don’t have much to show for it besides planting the seed.” What seed exactly? Fold up electric bike? A fold up is meant to be light and portable. An electric is heavy. The two don’t go together very well. It’s too bad. I’ve never heard of them, but just about a month ago, my coworker who doesn’t ride was saying that she would be interested if there was an electric bike available that could fold up small and weighed about 25 lbs. Boom! This is it! Sounds like a worthwhile concept, but I question why State Lottery Funds would be invested in such a risky business model. Sorry – I can’t help but appreciate the irony of your statement in light of the source of revenue. Gambling profits invested in speculative, risky ventures = not surprising. It is like an Ouroboros. They might have wasted too much time and money correcting problems that any engineer with bicycle experience could have pointed out from the get-go. I was slack-jawed by the first video that they released. Ask yourself how many folding bikes you see in the first place. How many times have you actually seen someone (like promo vids and pictures depict) in a skirt or business suit arrive at the front door of the office, fold up their bike and carry it in like a biefcase? Folding bikes are a very very small niche…very small. Throw electric or battery power on top of the never-seen folding bike and you end up with something that isn’t going to sell because its base (the folding bike) is as rare as the Salt Creek Beetle. “A” for effort, “F” for not seeing the train wreck. I was in ADX on SE 11th taking a tour a few weeks ago. There were a large number of dusty bikes lined up that and I wondered if they were Conscious Commuter bikes at the time because they looked very similar. Yes, another example of poor (or non-existent) market research. So many seat-of-the-pants business plans like this make you wonder if these dudes ever took a business course or ran a start-up previously. The US e-bike market remains very young and small despite all the optimistic industry press blather out there. And now with the Europeans trying to blitz the same limited market over here, supply has way outstripped demand. Prodeco in Florida appears to be the one domestic e-bike mfgr/seller that is hitting on all cylinders by focussing on both price point and quality control. Kickstart investment may be best placed into something more than a concept drawing on a Farcebunk page. 10 for concept. Big phat 0 for execution. Man… rough crowd here on bikeportland. So many seemingly crazy ideas become mainstream and it’s really good to try. The Wright Brothers as example of doing the near impossible and changing the face of the world. An elegant personal transport such as this bike is certainly worth a go and I’m sure they put every effort into making it a success. It’s easy to Monday night QB from the comfort of a keyboard. I applaud the endeavor. A little rough, but it seems like an almost boneheaded gamble to think that the problem with folding bikes is that they aren’t electric. That adds expense, weight, and a substantial failure mode. There are plenty of other failures waiting to happen in the e-bike start-up space due to the limited US market. I say this as someone who has ridden e-bikes for 15 years and who is very familiar with the history and development of the technology out there. A handful of small niche e-bike mfgrs have survived, namely Optibike of Boulder, CO and Stealth out of Australia. But in general the business has a ton of corpses lying by the side of the road, from Lee Iacocca to Malcolm Currie to Wavecrest Technology, most because of simple lack of demand. A cool idea does not a market make. Being in the electric side of the Business for just over 6 years, I have noticed that one of the biggest problems in the industry is that our analysts (and one in particular that seems to be the most often quoted) grossly overstate sales figures. When new folks enter the market they think the market is much bigger than it is, sales will be much easier than they are and profits will abound. With stars in their eyes, they get investors to commit to funding levels that lead to substantial overproduction. When sales don’t line up with production, they dump their EBikes for less than the cost to manufacture. This repeating pattern places a crazy amount of stress on companies whose business plan calls for a more organic growth curve. From earning grants, working with large corporate clients and garnering national attention before even having a viable product, Bob and Gabe are the best marketers I have ever seen.